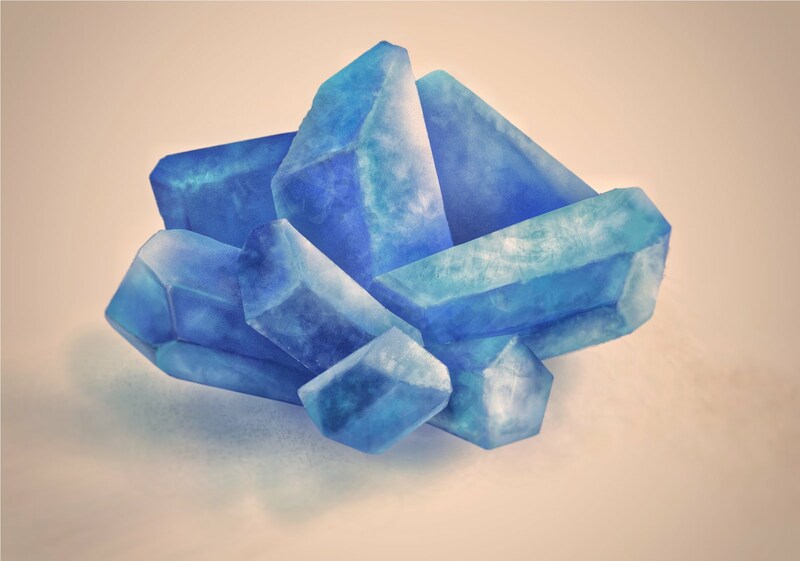 "These copper sulphate crystals can be grown at home using household chemical (Copper (II) sulphate pentahydrate). You have to mix copper sulfate with boiling water and leave for about 20-24 hours. Filter the cooled solution. You can hang a piece of little crystal on a fishing line into the solution. After weeks, blue triclininc crystals will form spontaneously. NOTE: Copper (II) sulphate is moderately toxic and irritative. As these crystals dry, they lose their colour and get dark surface."